With all the charts, gadgets, and electronic devices onboard, sometimes the most valuable asset is a well trained eye. It is not always necessary to take a bearing of an object using a hand-bearing compass. Often it is enough to estimate the angle by "eyeing" it across the binnacle compass. You can also use the bow of the boat (as 12 o'clock) and mentally measure the angle in relation to the bow. Lines of positions with objects on shore and the edges of islands are often all you need to successfully navigate short distances. Your hand, extended out at arm's length, is often enough to measure the angle of a range. Extend the hand with the palm facing outward and use the width of your fingers to measure the lateral angle from an object. Standing on deck and using the width of your fingers, you can measure the range angle that you will need to steer clear of a buoy or some obstruction. Similar to using your fingers to determine the angle of a range, you can also use the width of your fingers to determine the height of a charted object on shore (e.g. a lighthouse), and then use the angle and height of the object to determine your distance from the object. An object makes a 6 degree vertical angle at a distance 10 times its height. The angle between two stationary objects increases as you get closer to the objects. This is helpful at night when it is difficult to determine if you are approaching or moving away from lights on a shore. In the example to the right, angle B is larger than angle A. The following figures are for a height of eye 6 feet and 12 feet. When sailing from a port to which you plan to return, it is always a good idea to look behind you at regular intervals to get a perspective of what things should look like upon your return. It is also a good idea to sketch shapes of islands at difference distances and directions. 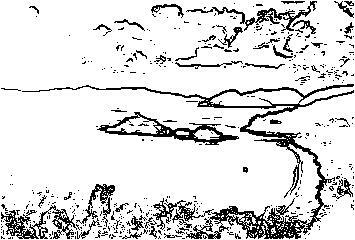 You will then be able to use these sketches to refresh your memory and use these islands as landmarks. Within 3 miles of shore, you can see the windows in buildings. When beyond 3 miles, you can only see the outlines of buildings. Nautical miles = 1.144 X square root of the height of eye (in feet) above the waterline. Statute miles = 1.5 X square root of the height of eye (in feet) above the waterline. Islands closer to the observer are darker in color. 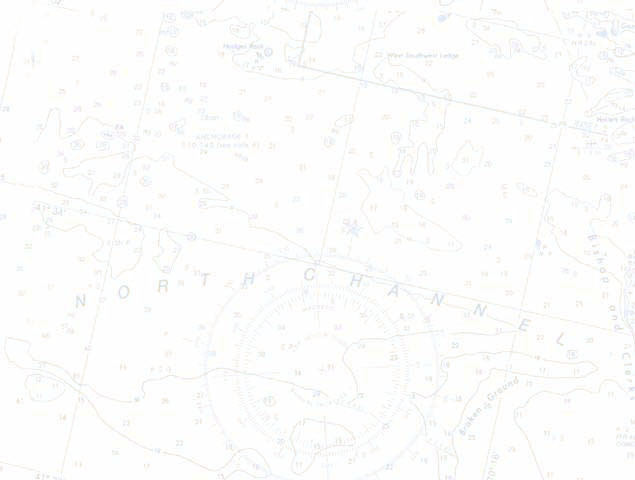 Islands farther away are lighter in color. Trees are darker and more vivid on closer islands. Differences in color are more noticeable on hazy days. Take a good departure fix when leaving a port (either electronic or manual). It is this departure fix from which you will relate the rest of the voyage. Determining water depth works best in bright sunshine. You need a high sun and polarized or dark gray sunglasses. It takes 15 minutes for the eyes to totally adjust to the dark. A red light (such as a "stop light" used in photography) does not cause night blindness. Red or green buoy lights are visible at 4 - 5 nautical miles at night. White buoy lights are visible slightly farther than 4 - 5 nautical miles at night. 3. Add the two distances. This is the maximum distance (in nautical miles) at which you can first see the lighthouse over the horizon. Example: If the height of eye is 9 feet standing on the boat, when will and 81 foot tower appear on the horizon? 1.15 x square root of 81 = 10.35 nautical miles. 1.15 x square root of 9 = 3.45 nautical miles. 10.35 + 3.45 = 13.8 nautical miles (distance when the tower first appears on the horizon). 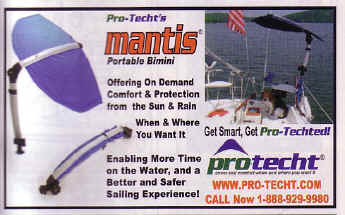 7X (power) binoculars are the maximum for use on a boat (due to the motion of the boat), but 6X (power) binoculars are better. To clear an object by a fraction of the range to an object, use an angle equal to the same fraction of 60 degrees. Drop floating wood chips off the bow and record the time it takes them to reach the stern. Use the formula: Length of boat (in feet) ÷ recorded time of the wood chips (in seconds) X 0.5925 knots (0.5925 knots = 1 foot/second) = boat speed in knots. 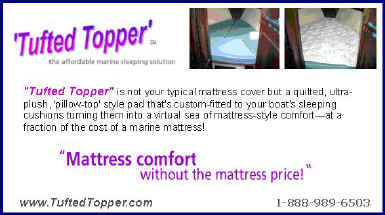 A floating chip takes 5 seconds to reach the stern of a 60 foot boat. Take several readings and calculate an average to get a more accurate boat speed. Identify a landmark (e.g. a tower) on the chart visible from the water and a charted buoy or island. Draw a line of position (LOP) from the buoy to the tower and record the bearing using a chart protractor or the compass rose on the chart. Also record the distance in nautical miles from the buoy to the tower. Sail by the buoy as close as possible and record the time your hand-bearing compass reading of the tower matches what you recorded from the chart in Step 2. Continue sailing on the course determined in Step 3 while taking a hand-bearing compass reading of the tower. 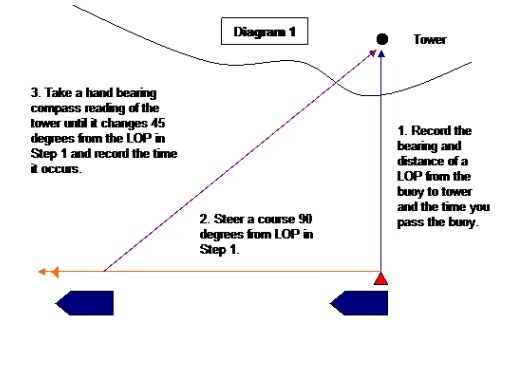 When the hand-bearing compass reading of the tower changes by 45 degrees from the LOP bearing determined in Step 2, record the time. Determine the time in minutes it took for the bearing to change 45 degrees (i.e. Step 6 time minus Step 4 time). The distance from an island to a coastal tower shown on a chart is 2 nautical miles. You draw a LOP from the island to the tower, measure the distance, and determine a course setting 90 degrees from the LOP. You sail as close to the island as possible on your determine course and take your readings. The time it takes you to travel to the 45 degree change reading is 30 minutes. How fast were you traveling? Tie 51 feet of ¼ inch nylon braided line to a tennis ball and cleat the loose end off at the stern. Toss the ball overboard ahead of the stern cleat. Record the time it takes the 50 foot cord (51 feet - 1 foot for cleating and angle compensation) to become taut. Take multiple readings to ensure accuracy. 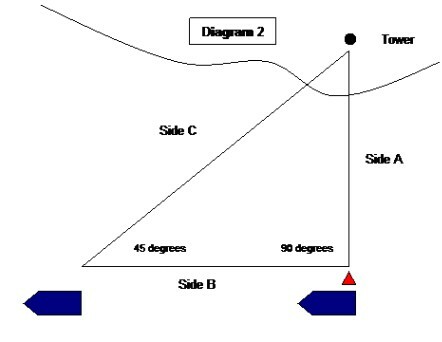 Use the table below to determine boat speed. 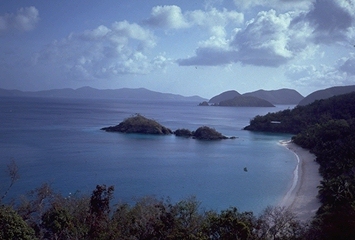 Stationary clouds form over mountainous islands during the day. They can be a sign of land. Low level cumulus clouds form above and inland from a beach on a warm sunny day with an onshore breeze. Land birds fly away from land during the day. Land birds fly toward land in the evening. When in fog, throw potatoes from the bow every 30 seconds. A splash indicates that everything is clear. A thud indicates you are too close to land or some obstruction.